The Huawei Mate 20 and Mate 20 Pro are now available for pre-orders in the Philippines. Priced at PHP40,990 and PHP49,990, respectively. 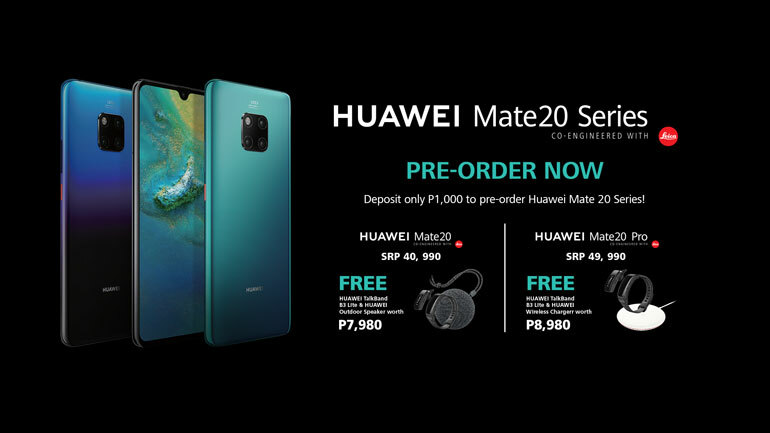 The pre-order units will come with premium freebies — the Mate 20 with a free Huawei TalkBand B3 Lite and a Huawei SoundStone, together worth PHP7,980; while the Mate 20 Pro with a Huawei TalkBand B3 Lite and a Huawei Wireless Charge worth worth PHP8,980. Both the Mate 20 and the Mate 20 Pro come with the new Kirin 980 chipset with dual NPUs and support for the 40W SuperCharge tech. The Huawei Mate 20 comes with a 6.53-inch display with a dew drop notch, a 4,000 mAh battery, and a 12MP + 16MP + 8MP triple cameras. 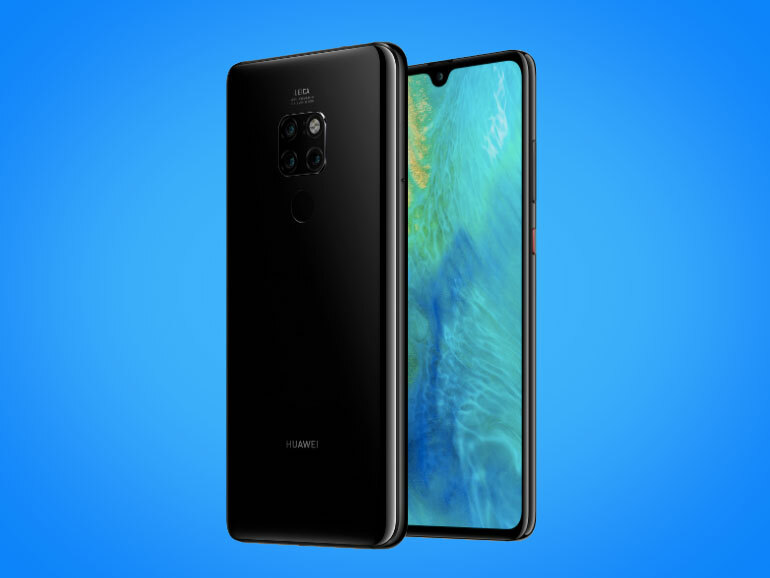 While the Mate 20 Pro has a 6.39-inch OLED display, a wide notch, 3D face recognition, a 4,200 mAh battery, and a 40MP + 20MP + 8MP triple camera configuration. It also comes with an in-display fingerprint scanner, a 15W wireless charging support, and reverse wireless charging which can charge other devices wirelessly. Both phones sport 24MP front shooters. The Mate 20 Pro has an additional 3D RGB + IR sensors on the notch for face unlock. The Huawei Mate 20 and the Mate 20 Pro is now available for pre-orders until November 2. The Mate 20 is priced at PHP40,990, while the Mate 20 Pro will go for PHP49,990. Release date for the devices is on November 3, 2018 in all Huawei Experience stores and partner retailers nationwide.